This question from the book “Who Moved My Cheese” by Doctor Spencer Johnson will make you pause and think. There are a lot of things that we want to do. But fear stops us from doing what we want. Most of us have been probably wanting to quit our jobs and just live life to the fullest. But we can’t, I mean we can but it would be too difficult to adjust. Every time we want to do one thing, we always wonder what’s ahead. We’re pressured on ‘what ifs’. What if something bad will happen? What if we can’t pay our bills anymore? What if we can’t find a better job? We worry – in fact too much on what the future lies. But then what if you only have a few weeks to live. Will you be brave enough to try new things? If you prefer to add a twist to the diving activity, you might want to consider shark diving. You read it right, sharks. Nowadays, there are already a lot of shark diving destinations that you can visit anywhere in the world. Have a close interaction with these sweet giants in Belize or in Beqa Lagoon in Fiji where you can meet different kinds such as the blacktip and whitetip reef sharks or even bull sharks. If you also happen to be in Asia, you can visit Malapascua Island in Cebu. If you’re a daredevil who’s looking for a more challenging activity, try portaledging. The activity’s derived from portaledge which is what climbers use to set up their “not so ordinary beds” up in the air- like a couple of feet above the ground. They attach it to rocks where they sleep to regain energy and also- stargaze. What could be better than you hanging above ground while looking for some constellations! Whether or not you have tried skydiving before, skydiving in Mt Everest will always be a one of a kind experience. Imagine jumping off from a chopper approximately 23000ft just below Mt Everest and land at the Himalayan dreamlands Syangboche (12340ft) and Amadablam Basecamp (15000ft). With the glorious view of the Himalayas and the thrill! Wow, it must be worth the $30,000 price. Well, if you can afford, money’s won’t be an issue, right? If you ever find yourself visiting Australia, you might as well head to Darwin where you can find the Cage of Death. In Crocosaurus Cove, tourists are given the chance to have a close interaction with what else, crocodiles! Tourists are placed in a glass tank where they’d be lowered down to where the crocodiles are waiting. To add more fun, meat is placed on the glass tank to attract the crocodiles to go near to where.. you are. Just pray though that the glass will not be broken else, crocs will go food tripping. Of course, we’re kidding. Pretty sure it’s safe though. 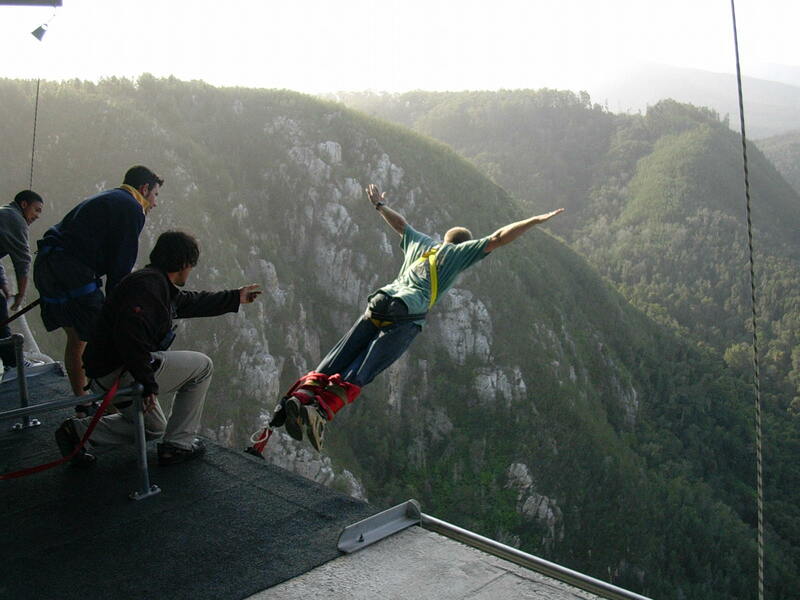 Some of you may have already tried bungee jumping before but you might consider doing it as well in South Africa. This 216m Boulkrans bridge is one of the highest commercial bungee jumping sites in the world. In 2010, Mohr Keet was recorded as the oldest person to bungee jump at the age of 96. So what’s our excuse? There are still plenty of things to explore and places to go if fear won’t stop us. Life’s short and this life should be filled with adventures. Like your list like this one. I’m going to share it on http://essayontime.com.au/can-i-pay-someone-to-do-my-assignment-in-australia/ and my users will become your readers!